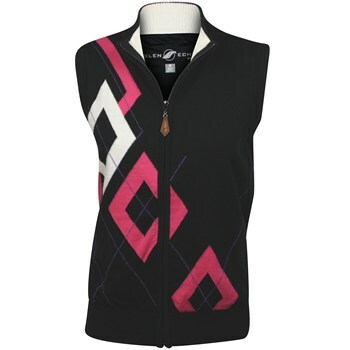 The Glen Echo SW-1155 is a full-zip performance sweater vest with Stretch Tech Windproof lining. It features a cotton knit sweater shell with a vertical rib detail on the arms and back and stretch tech windproof polymer coated lining. It also features an abstract engineered argyle design.